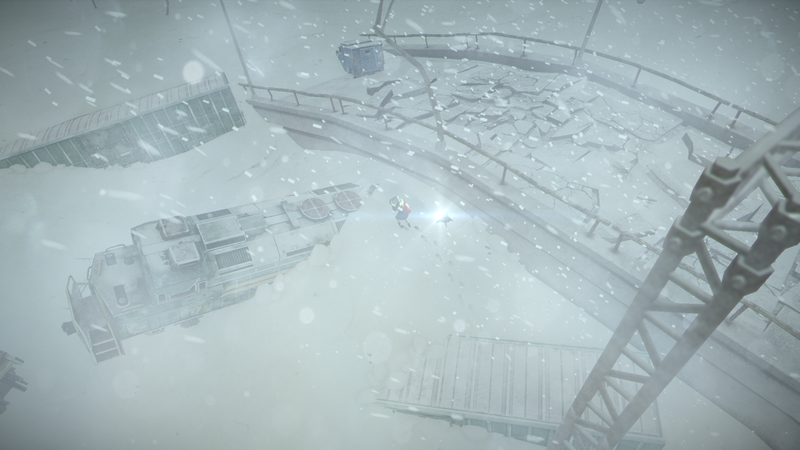 Impact Winter is a survival game, but before you let out an audible sigh, it’s not like the early access survival games you’re so used to seeing. There are no zombies, it’s not an FPS, and it’s not early access – although there is some crafting involved. To me, Impact Winter is more akin to State of Decay, except everything is covered in about 20 feet of snow. It was a game that I’d wanted to play right from its first announcement of it being playable at EGX Rezzed; I booked a time slot to play on the second day and spent around 30 minutes getting stuck in. An asteroid has almost eradicated mankind, snow is everywhere and you’re at danger of being consumed by the extreme cold. You play as Jacob Soloman and have a small group of people to manage and help setup refuge in a half buried church, and you’ve just received a message that help will be coming in 30 days’ time. How you spend those days is, mostly, up to you. 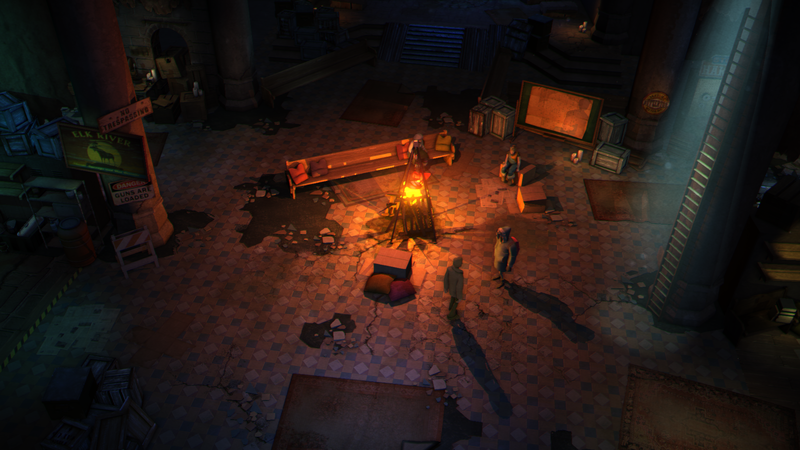 You can head out in to the world and explore and scavenge for items to help you and your group survive. They will also ask you to complete tasks for them whilst you’re wandering around, find X number of supplies, go to this spot and setup ‘outposts’, that sort of thing. It’s part resource and people management, part open world exploration. 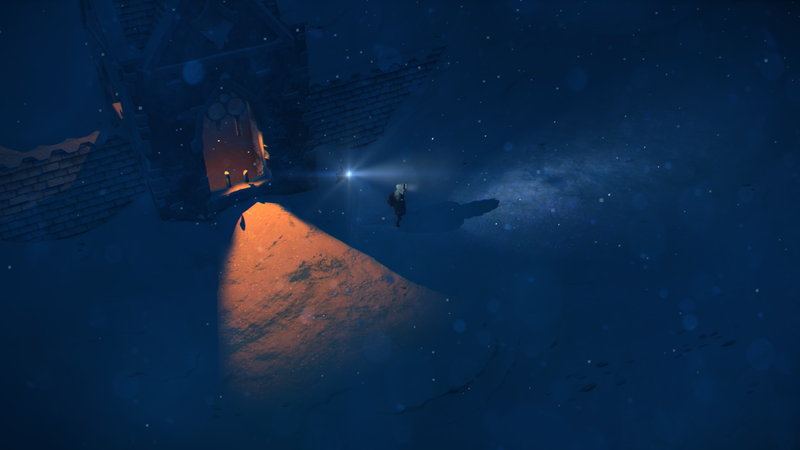 The game has a great visual tone to it, with the snowy world being very immersive and creating a great atmosphere. I was particularly taken aback by entering a zone ‘underground’ only to find out that it was actually just a suburban street that had been completely buried in snow with cavernous areas for you to navigate through. During my play through I mostly spent time exploring the wilderness and came across highways strewn with cars, houses half buried – which you can explore, playgrounds, other survivors – who you can help and potentially bring back to your home, plus a lot more. It seems like there is plenty to get stuck in to with the game. From the management side of things, you have your group back at base who are specialists in certain areas; cooking, tech stuff, building, hunting, the usual sort of things you might expect. You’re able to instruct the survivors on what they should do when you aren’t around and depending on how well you’ve been looking after them will determine how likely they are to do your bidding… so to speak. I wasn’t able to dig too far in to the crafting during my time, but I could see that you can find and make recipes to feed people – providing you have the ingredients and it seems like you can add upgrades to your base dependent on the resources you have available. Depending on how well you handle things will depend on how well your group works together, there may be instances where you will need to settle arguments and choose sides and other potentially difficult decisions. What I like about this take on the survival genre is that there is a story and what appears to be a definitive end point. A lot of survival games kind of struggle with the end game – generally because they’re an open world sandbox, multiplayer and have no real story. But Impact Winter tells a story and has a goal for you to reach. Seeing as you’re basically free to do whatever or help whoever you want, I’m hoping that there will be multiple endings giving the game a nice amount of replayability. The game apparently offers 23 hours worth of explore-able content, not including the above ground areas, and players can expect to complete a play through in roughly 15 hours. Impact Winter seems to hold a lot of promise and fans of games like State of Decay should find it interesting and engaging. My fairly brief time on the game left me wanting to explore a lot more, both in terms actual exploration and exploring the depths of the games crafting and survival mechanics. The game is due to release on PC May 23rd so if you’re interested mark the date in your diary! This was one of my picks from Rezzed too (good taste). I loved the fact that your actions can influence the rescue timer – it really added to the sense of purpose. It’s a survival game, so I’m basically in anyway! But yea, I was really impressed with it. Really looking forward to seeing the full game.